I filmed my fire from Lumber River State Park on the way to the Keys. It's sped up 8X, which makes for a brief break from reality and a reminder to get back into the woods. Enjoy! 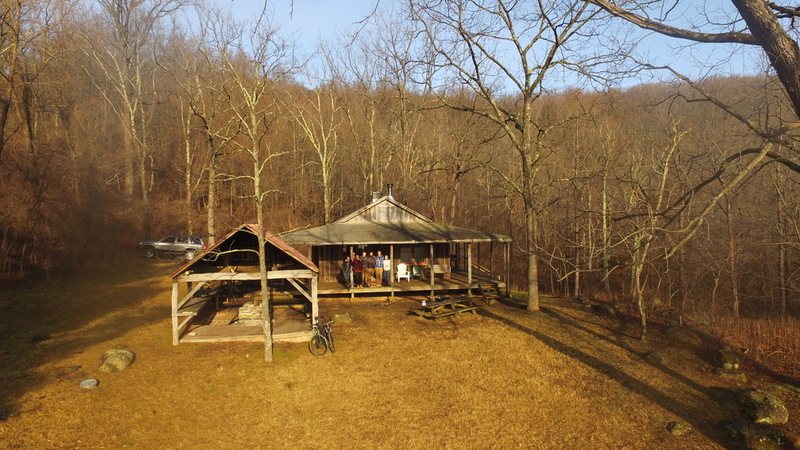 My friend Dan and I left Richmond Friday afternoon and made it to the cabin just before dark. I'd never been to Conley Cabin before, but was pleased to find it included two wood stoves and ample room for a large group of people. 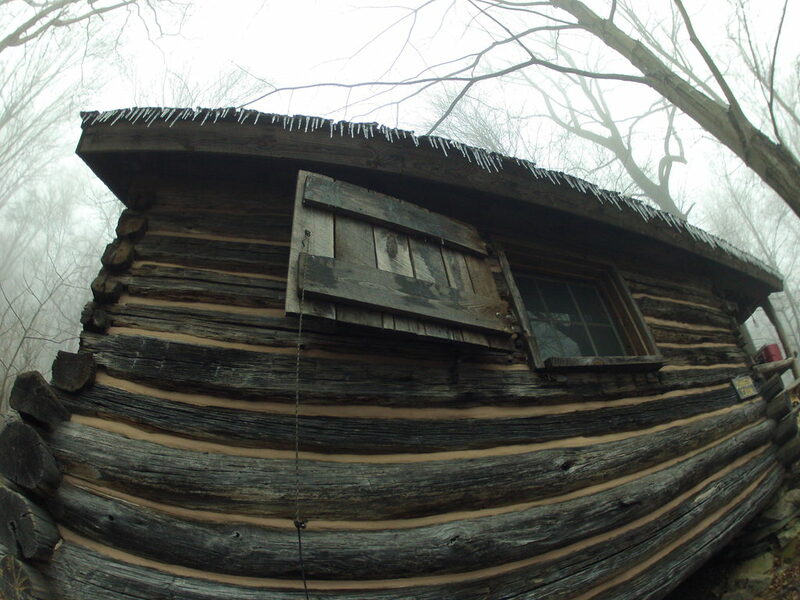 We only had six, but I believe the cabin would be suitable to hold up to ten. Elmer and his friends were prepared with plenty of food for the group as we feasted on stew, cheese, and prosciutto! 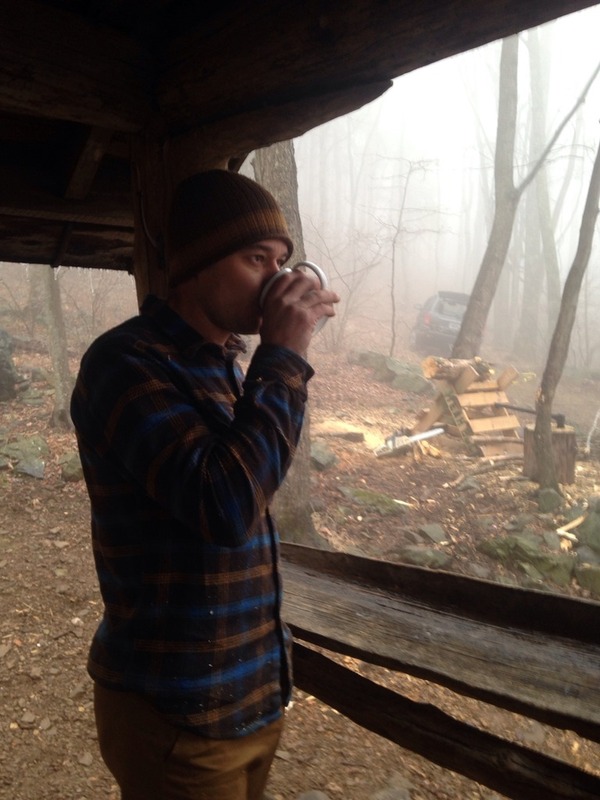 The next morning we searched the woods to restock the cabin's firewood supply, tidied up, and hauled our gear to the parking area before saying goodbye to friends old and new. On our way home, Dan and I had planned on eating at Hamilton's in Charlottesville before meeting our friend Joey for an XC ride at Walnut Creek Park. 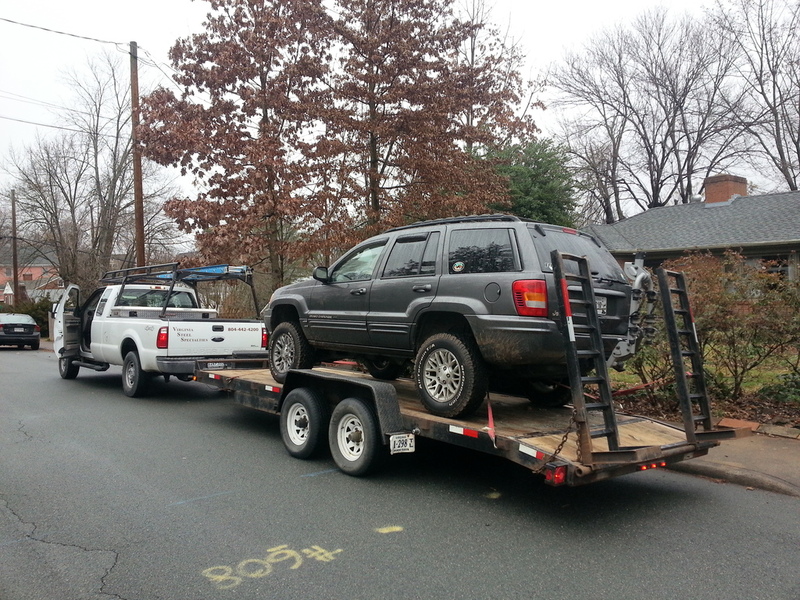 Unfortunately, my Jeep's transmission decided to implode just as we reached Charlottesville and we were forced to limp it into a parking spot within a nearby neighborhood. Instead of our original rendezvous at the park, Joey rescued us from Charlottesville and I returned on Sunday to retrieve the Jeep. Hopefully it'll need no more than a new torque converter to be back on the road. 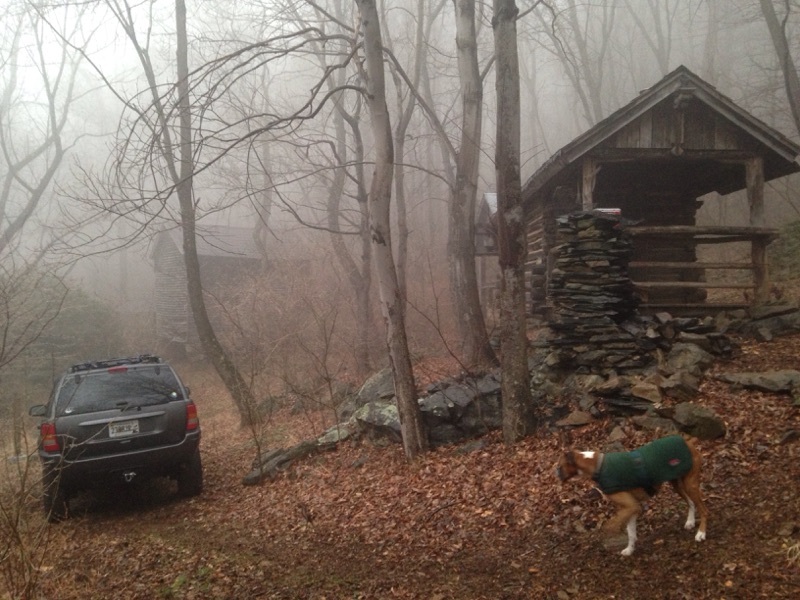 The last time Rebecca and I visited Johnson Cabin, it was an unseasonably warm weekend just before the start of 2015. As fate would have it, my Jeep was stolen from outside our house about a year following that trip. For nearly a year it remained a mystery until eventually the police came across its expired tags and discovered it parked roughly four miles from our home. When I recovered the Jeep from the tow yard, amazingly, it was untouched. In fact, the tools and gear I'd left in it the day of its disappearance were all there! I still can't believe my luck. In my mind, one of the reasons for its lack of molestation is the fact that it had developed death wobble after I'd installed a 4" lift and front axle. I suppose in some way I'm very fortunate for not having solved the issue at that point. In any case, I have just about solved the wobble. I won't get into the specifics, but it's reasonably fine on the highway now, requiring only minor care over potholes and bumps at highway speeds. With that said, I was itching to get back into the woods with a vehicle I so dearly enjoy and one that was assumed vanished for nearly a year. We loaded up the dogs, chainsaw, and a cooler full of groceries for the weekend in the woods - heading west on Friday afternoon. 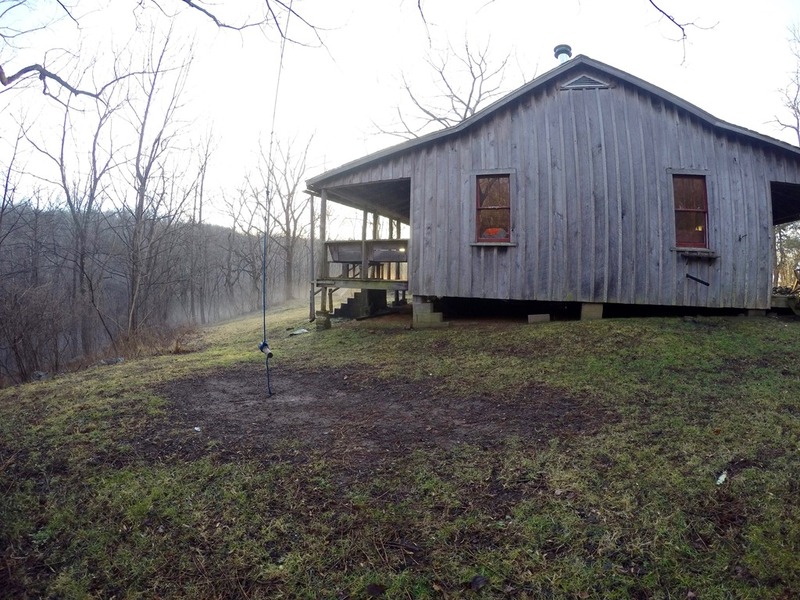 Once we arrived, I started a fire in the wood stove before we unpacked and kicked up our feet inside the tiny, cozy cottage. After following several YouTube channels for awhile now, I've decided to try my hand at a first-person, narrated channel to share these adventures through a new medium. With that in mind, I woke Saturday morning to rekindle the fire, gather more wood for the duration of the weekend, and film the entire journey. Since I had the Jeep, armed with straps and a come-along hoist, I chose to drag entire [fallen] trees from the woods rather than carrying individual limbs over my shoulder. The dogs and I backed to the edge of the woods and selected a tree nearest the trail. 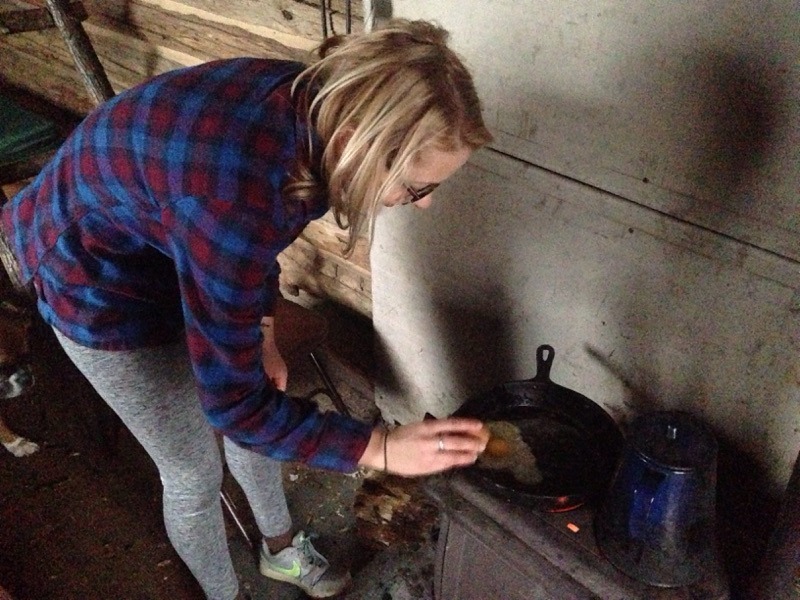 Once back at the cabin, I spent the next couple of hours chopping, splitting, and stacking firewood while Rebecca sliced vegetables to combine with chicken in a pot above the stove, simmering for hours before dinner. That night we chowed down on her stew and the next morning she was cracking eggs over the stove for our breakfast. 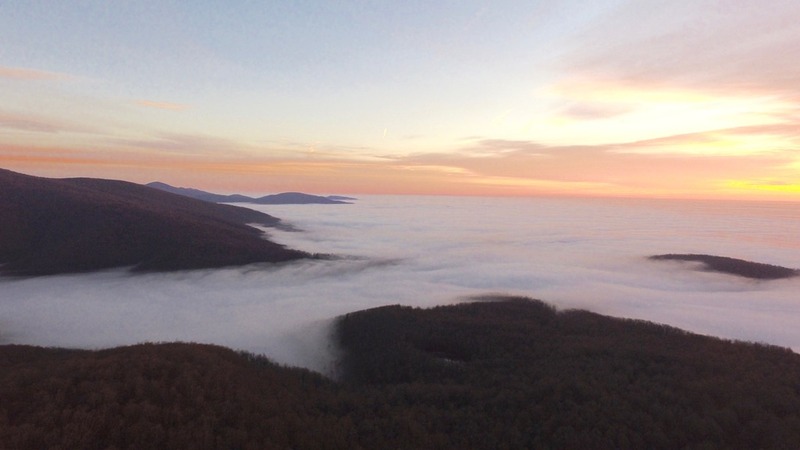 On Saturday we were within a thick fog for the duration, but Sunday morning we woke to clear skies. In minutes, however, a cloud would roll in to provide the same atmosphere - then it would quickly disappear. 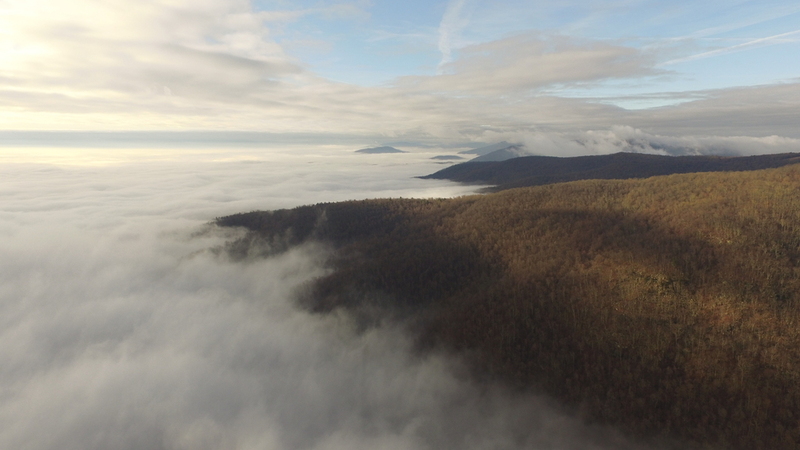 Once I spotted the low clouds in the valley I decided an aerial view might reveal an interesting sight - what I found was beyond my best hope...a sea of clouds with small islands of mountaintops peeking through the thick, white waves. 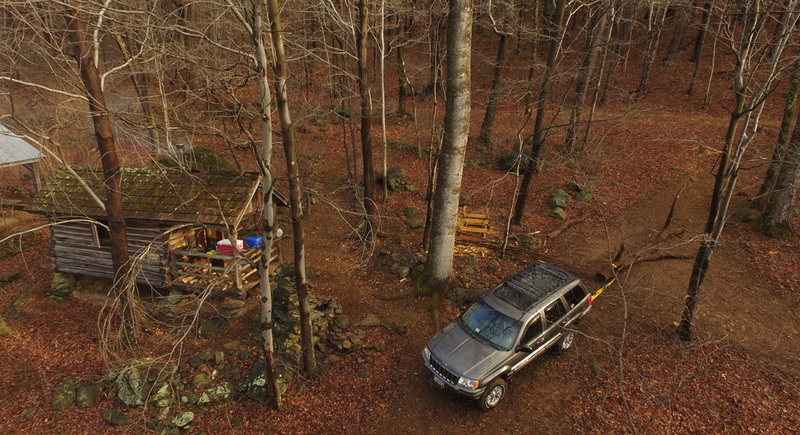 After two great days in the woods we packed the Jeep and headed to Gordonsville for a bite to eat on our way home. It was a great test of the newly repaired Jeep and such a great way to commemorate its return.